Poinsettias are the mandatory bloom for the holidays. 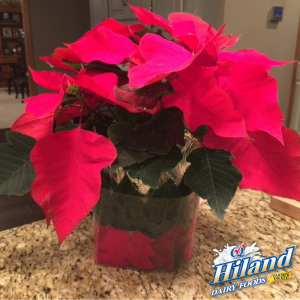 And, since I always have Hiland Dairy Milk jugs, I thought I’d combine these two to create an eye-pleasing plant holder. Let’s get started! Rinse jug and remove the label with warm, soapy water. Allow to dry completely. Using scissors, cut the top off of the jug. Tip: Be sure to make a big enough opening to fit a potted plant. 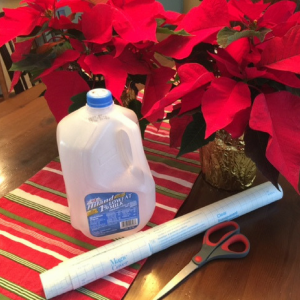 Measure a strip of contact paper to wrap around the milk jug. 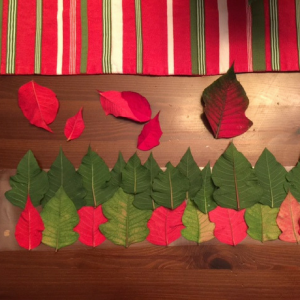 Peel off the backing of the contact paper and arrange the leaves face-down. 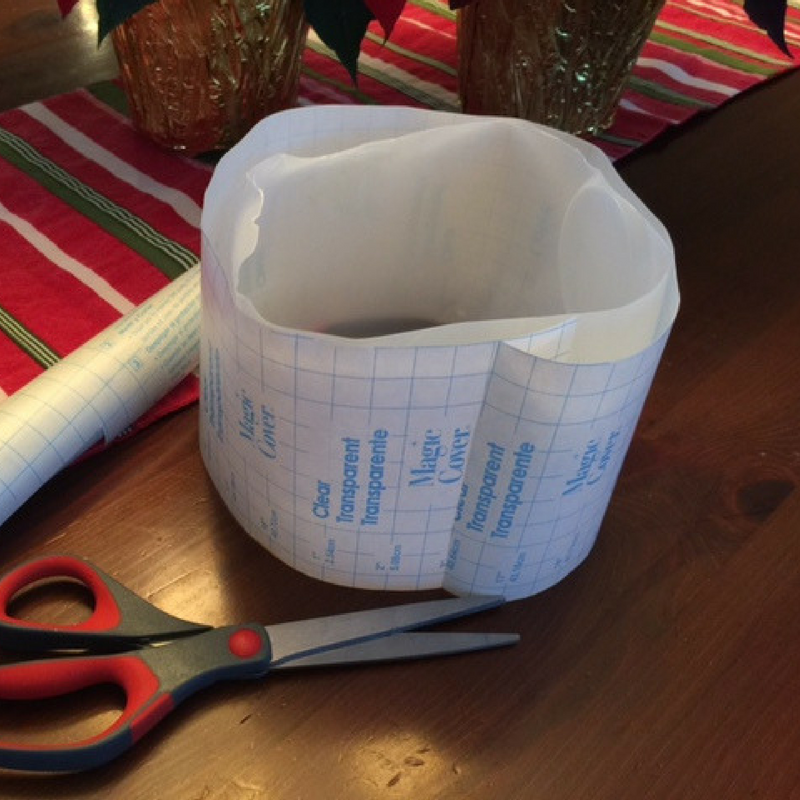 Tip: Be sure to leave a little empty space at the top and bottom to allow the contact paper to stick to the jug. 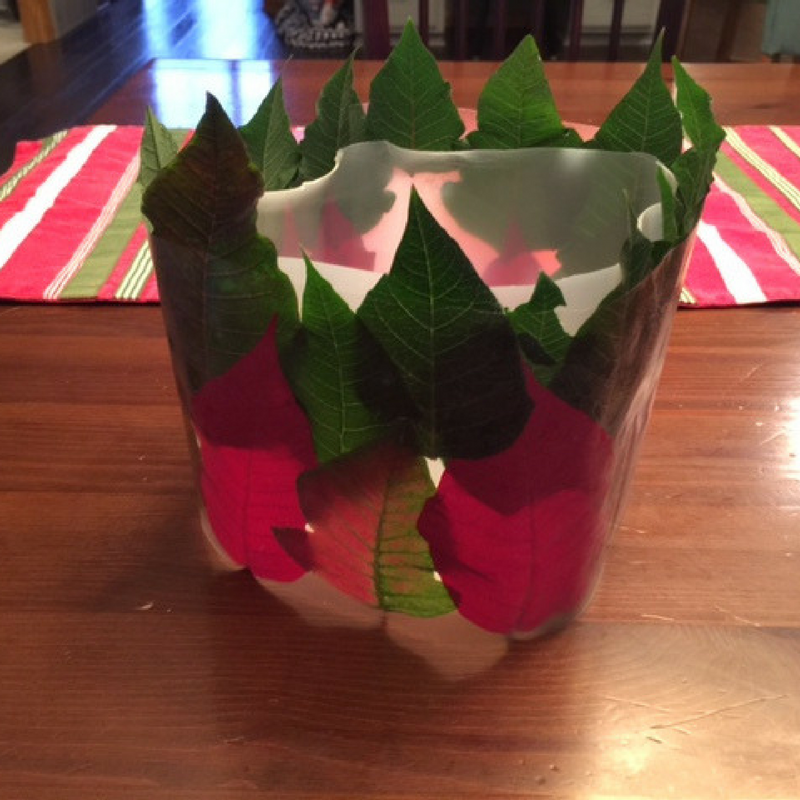 Wrap the poinsettia-designed contact paper around the outside of the milk jug, with the leaves facing outward. 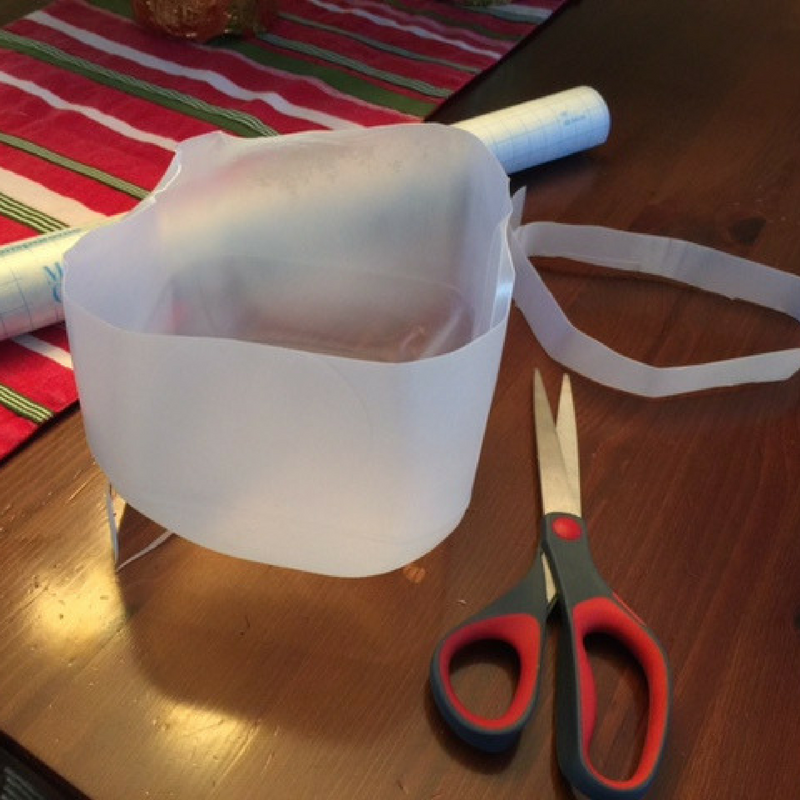 Press the paper around the jug until smooth. If you have a green plant, use mainly red poinsettia leaves for an extra pop of color.